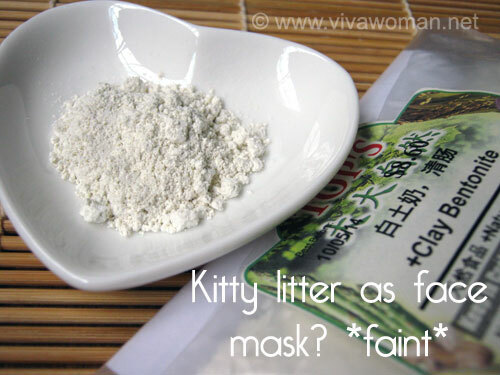 So that was exactly what I tweeted a few weeks ago, after reading the article about using kitty litter as a face mask in Urban. I had thought the kitty litter meant the kitty poo too. I later realized that it meant bentonite clay and coincidentally, I was just going to get hold of it as a clay mask that day. But seriously, does this stuff look like kitty litter? After some reading, I found out that bentonite clay is used in kitty litter. The first type of kitty litter was actually made from granulated Fuller’s earth and bentonite clay was only introduced later. The reason for using such clay was because it clumped up in the presence of moisture, allowing waste to be isolated and scooped out, leaving behind clean litter (source). However, before you go all excited and dash out to the pet shop to get that big bag of kitty litter, note that most of those are not just bentonite clay. So yeah, you’ve guessed it. I didn’t get this from a pet shop! Rather, I got this from an organic food store. Bentonite clay is really edible volcanic ash. I had initially wanted to use the bentonite clay as a drink for detox too because it is supposed to be able to draw the toxins in the colon like a magnet. 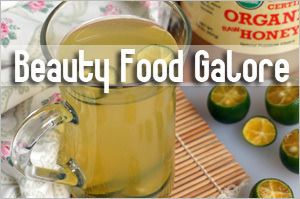 However, it should not be taken alone but with psyllium husks for a proper cleansing. I couldn’t bring myself to drink the stuff after making it and in the end, decided to only use the clay as a face mask. 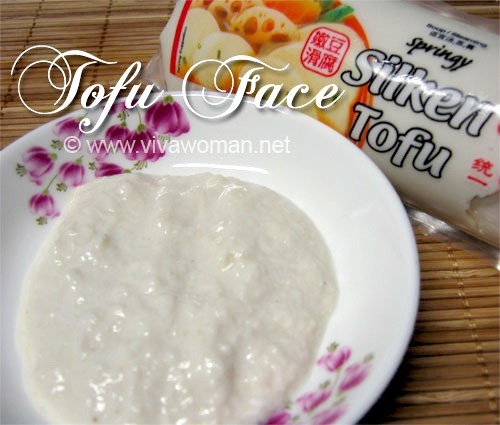 Because of its absorptive power, it’s good as a face mask to cleanse out the impurities from our skin. I have actually used bentonite clay but it was always in a mixture with other types of clay such as kaolin. So this is the first time I’m using it alone. This isn’t the most user friendly clay to use. It clumps with water and so takes quite awhile to mix into a paste. Even then, you’ll still find lumps in the paste. 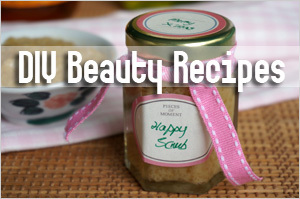 But it’s not a big problem as you can still apply the lumps and blend it onto the skin quite well. The good thing about this clay is that it has almost no smell when mixed with water. 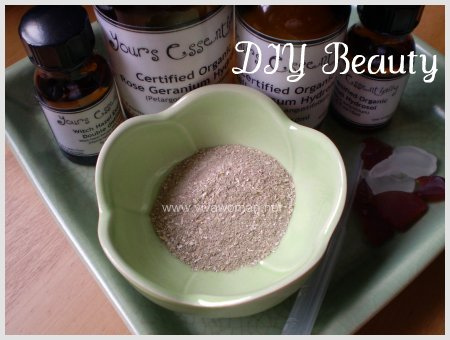 I used about one tablespoon of bentonite clay and mixed with about two tablespoons of distill water or rose water. You can pour the clay into the water or pour water onto the clay to mix. Either way, the trick is to keep it slow and steady so the the mixture will blend quite well and not clump up. After that, I applied the mixture straight on to my cleansed and dry face, leave it on for about 20 minutes before washing off with warm water. Again, it was not easy to wash this stuff off as it feels a tad “slimy” and I had to use a washcloth to remove the excess paste. All in all, this isn’t the most friendly type of clay I’ve used on my face. But it is quite effective in drawing out the impurities. I had a small blackhead by the side of my face and I noticed it was gone after using this clay. However, those on my nose still remained. I started out using this clay about twice a week but am now keeping to just once a week because it is rather drying. Hence, it’s best to use a hydrating mask immediately after. 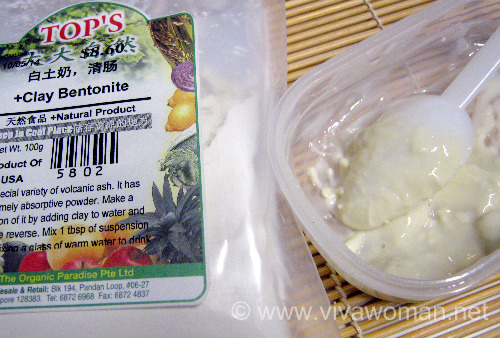 I purchased this packet of bentonite clay for S$8.60 from Four Seasons Organic Market at City Square Mall. 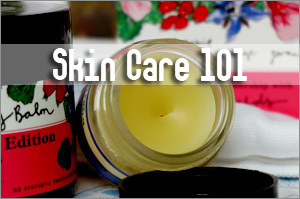 You should be able to find it in other organic food stores and even stores that sell DIY skin care ingredients. Bentonite clay is the only kind of mask that I would ever use. 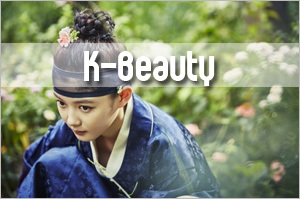 It does a deep cleanse, and tightens the skin naturally. Chemical masks, in my experience, tighten the skin, but cause it to be even more loose after they wear off. I have not seen that effect with clay. Haven’t tried kitty litter! Had no idea some of them were clay. 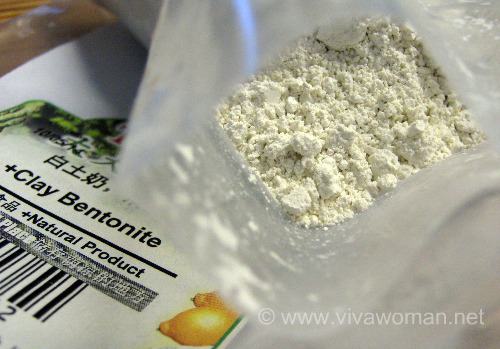 I used bentonite internally as “drawing powder” when doing a cleanse. It is said to pull heavy metals from the intestines. I needed a natural laxative with it to prevent from getting clogged up. So again, you are right on the mark, so far as my experiences are concerned. Thanks for a terrific blog. I didn’t realize the chemical masks loosen the skin after awhile…interesting info. 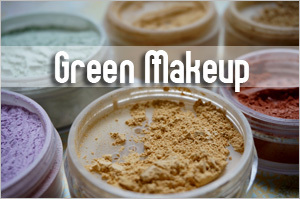 I use a hydrating mask after using the bentonite mask though and it is not 100% natural. Do you take the bentonite for internal cleansing with psyllium husks? I found it hard to drink the stuff and also a bit troublesome. So I’m relying more on supplements with these ingredients. 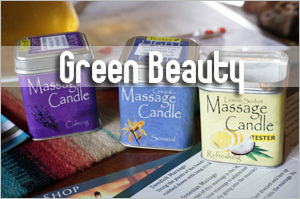 I just came upon your site and noticed the use of bentonite powder. I hope you are aware of the risk with this product. Inhalation may cause silicosis and is also suspected to cause cancer. I know people that wont even use it in the litterbox because of this risk. Please be careful when mixing, it is not all good. I just used Bentonite Clay on Saturday, got mine from Whoopeekiddies. It’s very water absorbent and I added organic Aloe Vera Juice and a couple of drops of Jojoba oil to the mixture. Even so, I find it harsh on my combi skin, as it dries up too fast and tightens the skin very perceptibly. Not sure what to make of it. Might just end up mixing it with my other clays or add more oils. But it does draw out the impurities very well. I had a couple of large pimples on my neck and after the clay mask, the next morning, they actually grew smaller/ I still prefer my Moroccan Rhassoul and Canadian Glacier Clay masks. The latter is not as absorbent and is gentler on the face. Oh what a coincidence that you’re starting to use this! Yes, I find it more drying than the other clays but it’s not too bad for my combination skin. I’ve stopped using clays for a couple of months and this is the first, after I reverted back to the routine. I quite like it, but it’s best to use once a week and to follow on with a hydrating mask. One way is to mix the clays like what you mentioned. Maybe that’s something worth trying. I may try it with aloe vera juice the next time like what you did. I like using it with rose water cos the scent is very soothing. Hi, sorry…a qn irrelevant to this blog post. 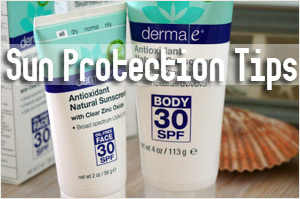 Could you do a blog post or tell me what you think about Invisible Zinc Environment Skin Protector SPF30+? Thinking of getting my aussie colleague to bring it over for me when she comes next month. Thanks!! I have come across this product. It contains micronized zinc oxide and that’s why the application is good. I’m not sure of the percentage of zinc oxide used though as I couldn’t find the ingredient list online. Not too pricey I think so worth a try if the zinc oxide used is at least 16% cos I think the product doesn’t have other active ingredients for sun protection. Btw, do you still see the email addresses? I ran a search and couldn’t find any discussion on this but I’ve since took out the avatar. If that’s not causing it, I have no idea what could be the issue. Thanks very much! I’ll ask my colleague to bring me a bottle and try it out. Let you know how it goes. Currently, I see my own. But occassionally I will see either none or someone else’s. I’ll let you know if that happens again. Okay thanks! I hope the sunscreen will work out well for you. I was actually looking to get it awhile back but somehow got distracted or something. Anyway, if the product is developed in Australia, chances are they’ve been well tested to work. Actually, the sunblock there are good and cheap. I understand about being lazy…ready commercial masks are more convenient. But most clays are okay…just mix with water and apply so not too troublesome. Bentonite clay is one of my favorite clays. I use Aztec Secrets Indian Healing Clay, I get it from amazon for $7.95. I mix my bentonite clay with apple vinegar, sometimes with rose water and few drops of tee trea oil, sometimes with green tea and other different hydrosols. This clay is really good at removing blackheads and different impurities from my skin. Yup, I was impressed with its ability to draw out the impurities. hmm comparison with Rhassoul clay (if you remember)? heh. 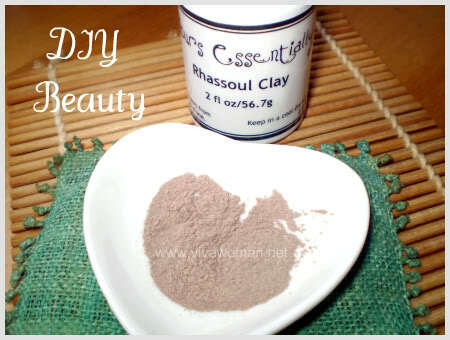 Rhassoul clays is quite gentle and cleanses but doesn’t really draw out impurities as well. But Rhassoul was not so drying for me plus it was easy to use, apply and wash. I know this is an old post. 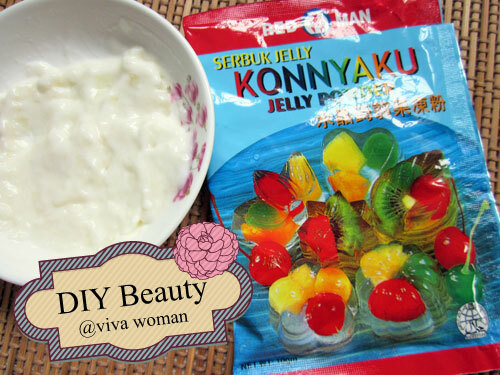 But I had pretty good result with this mask together with fresh fruit juice. It really did soak up the excess oil in my face and I have little issue with dryness after the mask as I have really oily skin. Thanks for the recommendation. I have dry skin. I do a bentonite clay/aloe vera gel/honey mask once a week. It leave my skin soft and smooth. Bentonite + honey sounds good. Should give it a trial next round. Thanks for the idea! 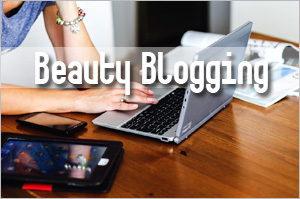 i’m a new reader of your blog and really like your site. Thanks for coming by and I’m glad you’re liking the info here. I got the bentonite healing clay from Four Seasons Organic Market at City Square Mall. The market is also at Great World City, Suntec City Mall and Parkway Parade. I finally got my hands on the bentonite clay from Four Seasons organic market at Parkway Parade. I have used it only once yet. and immediately after using it, i can feel my face tight and brightened up. Though i havent seen any reduction in pore size. i’m not sure whether it’ll help with it or not. I was wondering if you have any idea about the ‘Lifecell’ anti aging cream. I have read so much about it on the net. But was not sure if it is just tall claims or does it really work. Can you share your insights on it pls. Reduction in pore size do depend on individual…a product I’ve seen result in terms of reducing pore size is grapeseed oil. 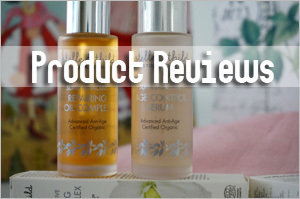 As for Lifecell, the product appears to have many active ingredients. I’m only familiar with vit C…the rest are new to me but they read like powerful stuff. I can’t say much except that you’ve got to get reviews from real users. It’s the Four Seasons Organic Market at basement. The reviews on life cell are too good to be true…so quite skeptical. I’ll hold on to it for the time being. hello! i was reading your DIY entries and i am so motivated with it! i was “researching” on bentonite clay and i happen to find 2 versions on iherb! I was thinking if you are still keeping to this bentonite clay regime and if you happen to be purchasing any of these from iherb? both stated 100% pure though. painjane last post is: Smell clean! No, I’ve moved on to try other recipes. Im Suman frm Malaysia, just want to where can i get bentonite clay in malaysia. Can u plz help me to buy it? I tried to find everywhere but can’t get it. 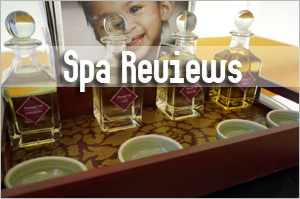 Hi , I just came across ur wonderful blog, could you plz plz tell me where can I find aztec healing clay in Singapore? I searched a lot but in vain hence writing to you. Please help!